No offense to soups and stews, but your slow cooker is capable of so much more. You’ve already witnessed how convenient the slow cooker is when it comes to braising meats or cooking chili, pulled pork, and dip. But what you may not know is that unexpected dishes, like lasagna, nachos, cakes, meatballs, and breakfast casseroles, can also be cooked low and slow. 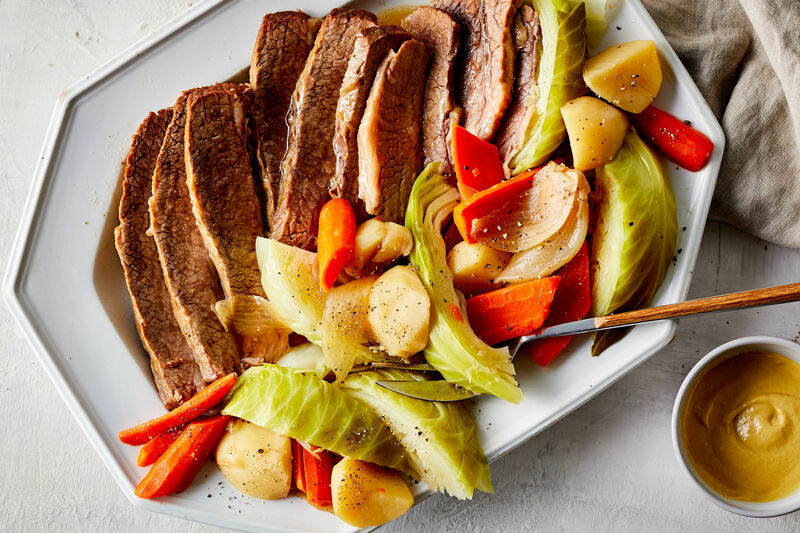 The slow cooker is a brilliant tool that yields maximum comfort with minimum effort, not to mention the hands-off approach to cooking lends itself to a quick and easy after-dinner clean up. 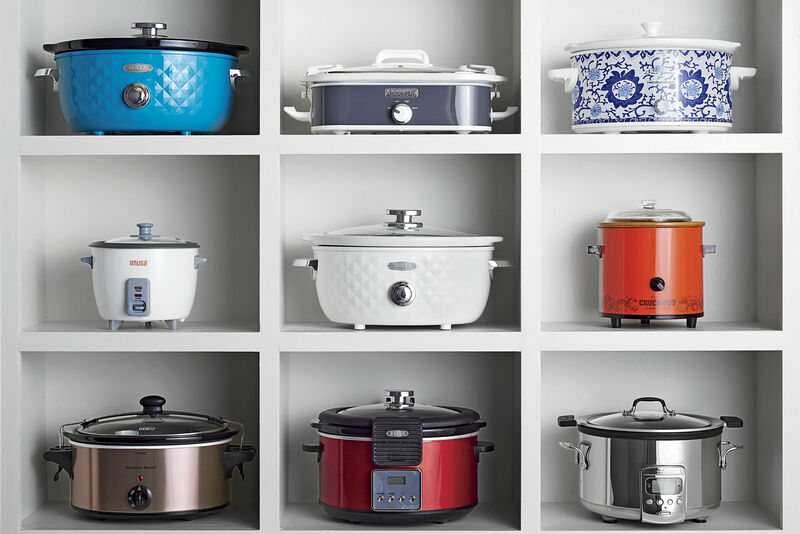 So, the question begs to be asked: Is there anything the slow cooker can’t do? If we’re to answer that question based on the sweet, savory, and foolproof recipes we’ve chosen for this collection, the answer is a resounding “no.” Here, 30 delicious reasons to dust off mama’s favorite all-in-one kitchen appliance, and "set it and forget it" for breakfast, dinner, and yes, even dessert. Breakfast is made easier thanks to the slow cooker and this easy and filling frittata. Delicious, cheesy, and hearty, it's sure to please the morning crowd. This winning trio of French toast, pecans, and cinnamon is totally worth the wait. The slow cooker does all the work so you can roll out of bed with delicious bread pudding awaiting you the next morning. The classic sausage breakfast casserole gets a slow-cooker makeover. Perfect for brunch, you'll enjoy every layer of sausage, eggs, cheese, and hash browns. Is there any food more quintessentially Southern than grits? Instead of the usual quick boil method that leads to dry or lumpy grits, the slow cooker helps to turn stone-ground grits into smooth and creamy perfection. Fire up the slow cooker for a lazy breakfast on cozy winter weekends. This easy frittata recipe uses tomatoes, eggs, cheese, and a flavorful heap of herb seasonings. This casserole is also chock full of early morning favorites, like eggs, bacon, and cheese, all baked into one delicious breakfast feast. The possibilities are endless when it comes to slow-cooked mini meatballs. Enjoy these easy meatball sliders, covered in slow-simmered tangy tomato sauce, as a tasty party appetizer or a savory game-day treat. Finger-lickin' good and sticky sweet, these Asian-style chicken wings are covered in a deliberately spicy and sweet sauce. To get the perfect crunchy bite, brown wings in the oven to give them a crisp and colorful skin before slow cooking for 4 hours. This recipe showcases the versatility of sweet potatoes. Bake this colorful and flavorful breakfast the next time you're serving brunch, or prep it the night before. Give nachos a Southern-style boost with slow-cooked pork loin, brown rice, queso fresco, and seasoned veggies. Don't forget to load up on your favorite nacho toppings for a simple dish on busy weeknights. Melt-in-your-mouth meatloaf was practically made for the slow cooker. This recipe will cook for about four and a half hours, but only takes about 20 minutes of hands-on time. Not to mention it slices up nicely to serve atop a bed of creamy mashed potatoes. Our Herbed Beef Ragu is a great comfort food option—all done in the slow cooker. Turn to this beefy dish when you have to feed a crowd. Sweet potatoes simmer all day in your slow cooker, turning meltingly tender. Sweet, savory and salty, this sweet potato and bacon recipe is all you need for a tasty side dish to complement a delicious weeknight dinner. When life hands you lemons, don't resort to lemonade—instead, make this citrusy lemon bar cake in the slow cooker to end the meal on a sweet note. Our friends at MyRecipes show you how to whip up this decadent apple cake in just over an hour – no oven required! This seasonal dessert recipe takes minimal prep time, but your guests will never be able to tell. Serve with a healthy scoop of vanilla ice cream for an easy and delicious fall dessert recipe that's sure to impress. Oh, yes we did. If this is your first attempt at making a chocolate cake in the slow cooker, it certainly won't be your last. An old Mexican favorite with a new twist, this super simple enchilada recipe doesn't have the usual long cook time that most slow-cooker meals have. You're welcome. Easy, warm, and raisin-filled bread pudding made all the more convenient by the slow cooker. The meatball hero of sandwiches, this beefy hoagie is our favorite meal-in-a-bun. And when prepared this way in the slow cooker, it's quicker and easier than ever. All we can really say is that it's berry, berry good. Give this classic Cajun dish a whirl in the slow cooker. Here, shrimp and chicken simmer together perfectly to make one flavorful jambalaya. The slow cooker easily transforms an ordinary chocolate lava cake into something extraordinary. A complete game-changing dessert, this moist cake is just oozing with flavor and a warm chocolate sauce. No boiling required here. Just layer uncooked lasagna noodles with chicken, cheese, carrots, and spinach. The slow cooker pulls double duty, keeping your lasagna warm throughout the meal, in case you can’t resist seconds. Rely on the slow cooker to satiate your sweet tooth cravings. These easy chocolate nut clusters are good down to the very last bite. Enjoy as an afternoon treat or when that midnight snack attack hits. Fortunately, this cranberry delight will allow you to free up your oven to make cake in the slow cooker. Cranberries caramelize with brown sugar in the slow cooker for the ultimate dessert. The only thing we're missing here is the ice cream on top. Layer upon layer of sausage and squash made all the more delicious with the slow cooker. Just fix it and forget it! It's hard to believe a peach cobbler that's filled with fresh peaches and a golden crusty top cooks up so easily and deliciously in the slow cooker. The slow cooker is the secret to fall-apart chicken in this recipe. Serve this saucy dish over polenta or pasta. Who needs the oven when you can make this comforting and crumbly dessert right in the trusted slow cooker? Slow-cooked turkey drumsticks, simmered all day with fresh mushrooms and other tasty vegetables, are a guaranteed winner for dinner. Serve the savory turkey ragout over hot cooked polenta for a satisfying and warming meal.